January 29, 2019 Updated with TSMC’s official statement. 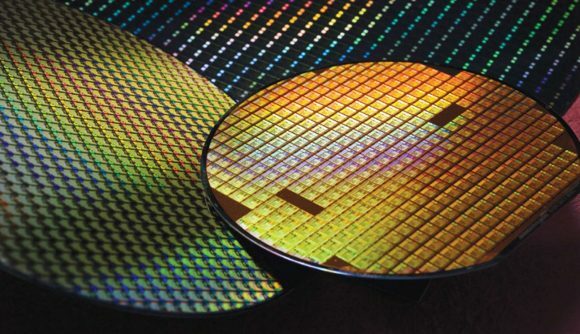 An incident at one of TSMC’s manufacturing facilities has reportedly ruined tens of thousands of 16/12nm wafers… y’know all those slices of silicon from which spawn Nvidia’s entire current lineup of graphics cards. TSMC has confirmed the problem is down to chemicals “significantly below the quality of previous shipments” used in the production process not being as pure as is needed, resulting in contaminated wafers which are unusable. This isn’t the first time the Taiwan Semiconductor Manufacturing Company (if you’re not into the whole brevity thing) has experienced some brutal manufacturing problems. Last year a ‘misoperation during the installation process for a new tool’ caused a virus to spread around a number of its fabs, which itself resulted in the scrapping of thousands of wafers. The original report came from Expreview (via Chiphell) and explains that the wafer contamination has so far only been observed at Fab 14 at the Nanke Technology Park, so it seemingly hasn’t spread beyond that. The imported chemical materials responsible should be easily trackable, and so TSMC ought to quickly be able to stop them being used anywhere else and ensure no other fab falls victim to the reported impurities. The foundry has immediately stopped using the contaminated chemicals, but hasn’t given an estimate about the number of wafers affected, however some reports have suggested that tens of thousands of wafers, and many more individual chips, would have been affected. It’s maybe lucky for us then that AMD’s new Radeon VII, and its next generation Navi graphics cards, are all based on the seemingly unaffected 7nm node.